Portal of UI - BY is created by the group of enthusiasts in an order to give a reference source those, who is busy at repair and maintenance of office equipment. If you have suggestions, ideas, suggestions - can share by them with other users. Simply send away the message of Administration of Portal and your material will be accessible for reading other. Let us jointly develop Portal filling with his interesting, useful and by necessary materials. Portal of UI-BY is created by the group of enthusiasts in an order to give a reference source those, who is busy at repair and maintenance of office equipment. If you have suggestions, ideas, suggestions - can share by them with other users. 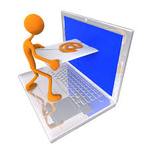 Simply send away the message of Administration of Portal and your material will be accessible for reading other. Let us jointly develop Portal filling with his interesting, useful and by necessary materials.